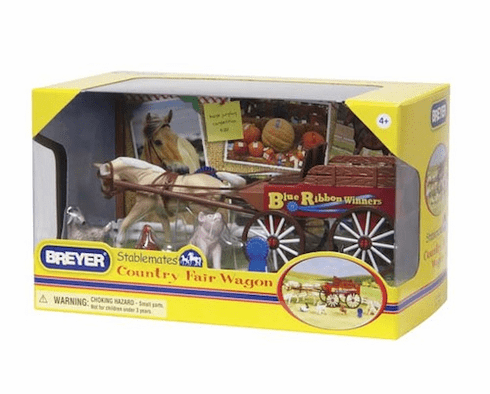 Hook up your palomino horse to the buckboard wagon and head to the Breyer Country Fair. Enter your prized bunny, pig, chicken, and goat in the local competitions, and come home with a blue ribbon! This set also includes a wagon, harness, Stablemates palomino horse, and fencing.